Steroid Rebound – Sometimes when patients stop using topical steroids, their psoriasis returns quickly and often worse than the original outbreak. Cutar will generally keep skin clearer for a longer period of time after you stop treatment. However, it generally takes longer for Cutar to begin showing results. Tachyphylaxis – Your medication stops working. Often patients will have success with a certain topical steroid, only to have it become less and less effective over time. Patients who get relief from tar, generally stay better for longer periods of time, during and after their course of treatment with tar. Skin Atrophy – thinning of the skin. Using topical steroids, especially more potent ones, for prolonged periods, may cause skin atrophy where the skin becomes very thin and more susceptible to damage. A good psoriasis lotion like Cutar will not atrophy the skin. To avoid or decrease the likelihood of side effects, many dermatologists recommend the use of coal tar either alone, or in combination with steroids to get the benefits of both products. Some patients can control psoriasis outbreaks rapidly with steroids, and then maintain clearing with coal tar over the long term, avoiding steroid side effects. Cutar can be used either as a medicated psoriasis lotion or as bath oil for therapeutic soaks. Apply to affected areas one to four times daily or as directed by a doctor. Gently rub a small amount onto affected areas. Blot off excess with a tissue to help prevent staining of clothing or linens. Pour a liberal quantity (6 to 10 capfuls) into the tub, making sure Cutar is well mixed. Soak for 10 to 20 minutes, or as directed by your doctor. After treatment, pat skin dry. GUARD AGAINST SLIPPING. Add 2 to 5 capfuls to a sink or basin. Mix well and soak for 5 to 10 minutes or as directed by your doctor. 7.5% L.C.D. (equiv. To 1.5% Coal Tar). Water, Liquid Petrolatum, Extract Of Lanolin Alcohols, Mineral Wax, Beeswax, Acetylated Lanolin, Isopropyl Myristate, Sorbitan Sesquioleate, Sodium Tetraborate, Imidurea, Allantoin, Methylparaben, Propylparaben, Fragrance. Repeated exposure to drying soaps and sanitizers can lead to brittle nails, damaged cuticles, and severe dryness associated with eczema. Cutemol Emolient Cream is for dry cracked hands and skin. Effective for dry hands, feet, and any type of dry skin. 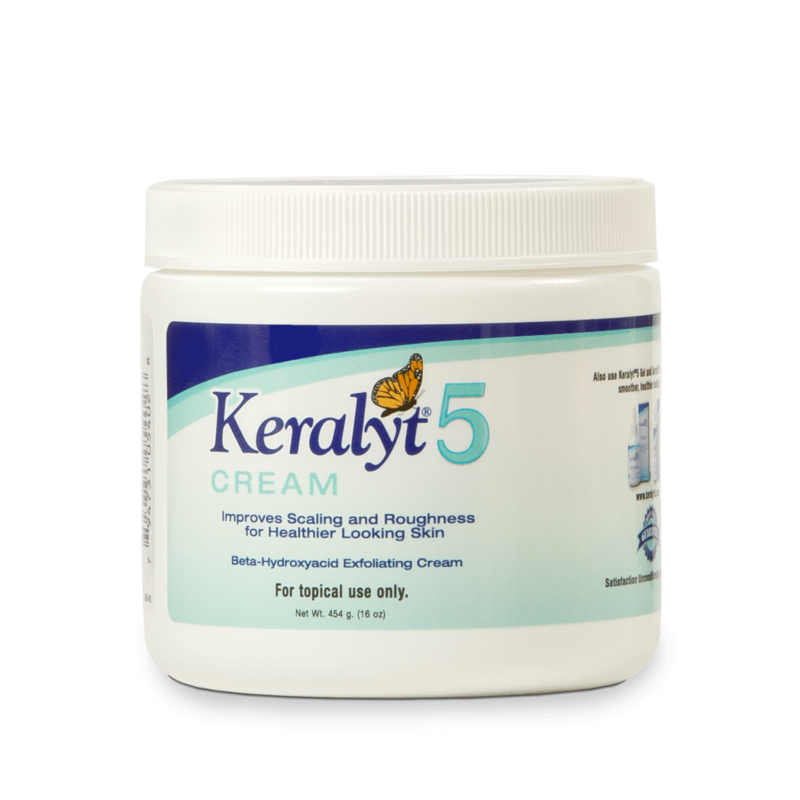 Keralyt 5 Cream is a psoriasis treatment for your whole body that improves scaling and roughness for healthier looking skin. 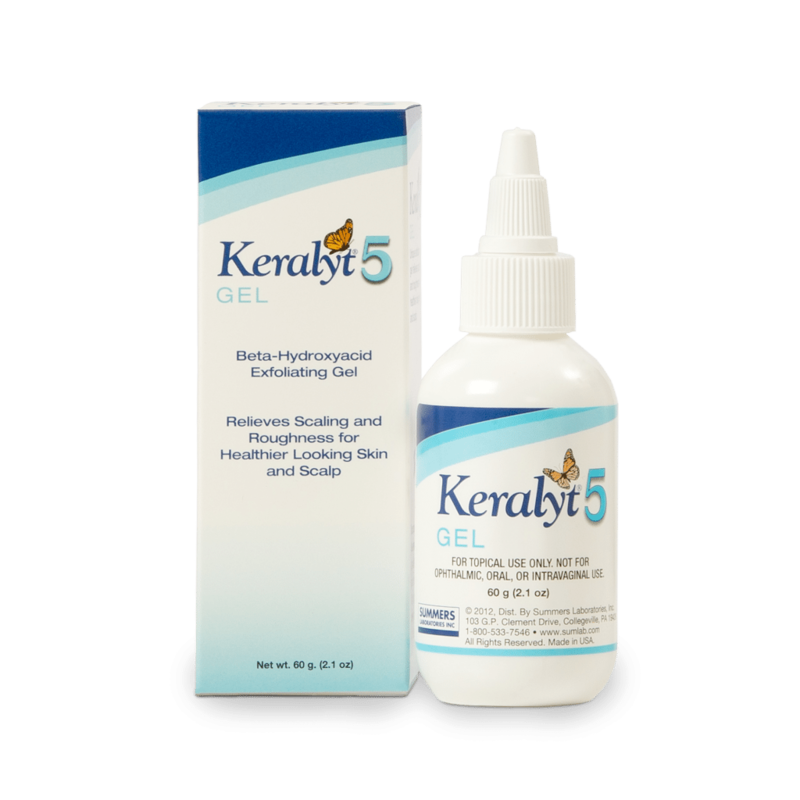 Relieves scaling and roughness for healthier looking skin and scalp. Exfoliates with salicylic acid. Removes rough patches and treats your psoriasis symptoms. 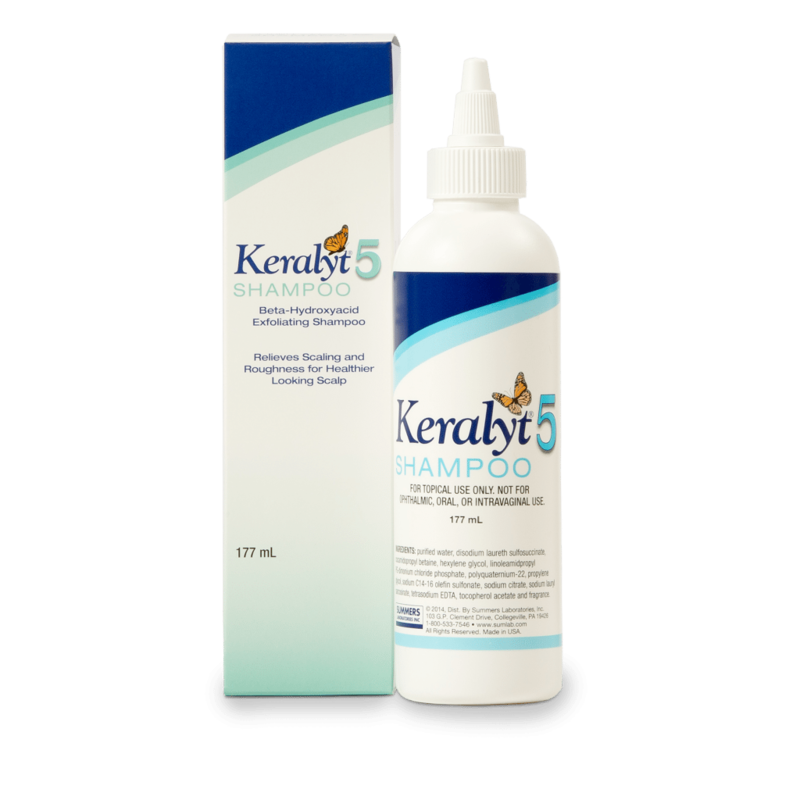 Relieves scaling and roughness for healthier looking scalp. Exfoliates with salicylic acid. Ideal for dry scalp conditions. Treats psoriasis symptoms. Helps exfoliate dry, scaly or calloused skin. Unique beta hydroxy acid formula. We offer Moisture-All both as a great daily moisturizing lotion for dry skin and as readily available option for the famed lotion, Moisturel®* that was recommended for decades by dermatologists and pediatricians. Moisture-All uses the same ingredients at the same percentage. 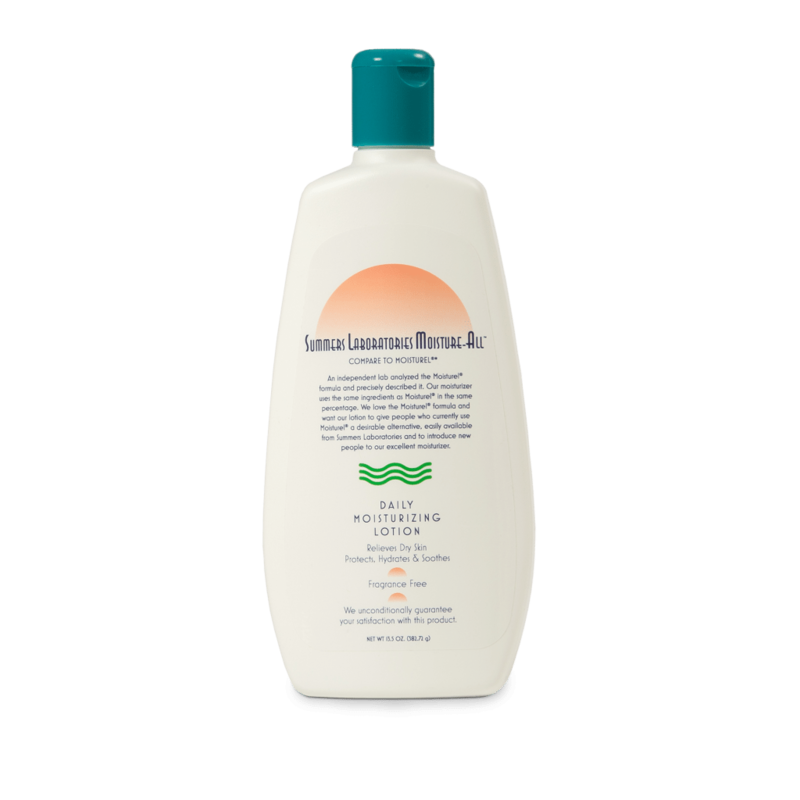 Moisture-All is an elegant daily moisturizing lotion that helps relieve, protect, hydrate and soothe dry skin. This light, fragrance-free formula helps dry skin feel smoother and softer. Can I moisturize my skin after I've applied Cutar? 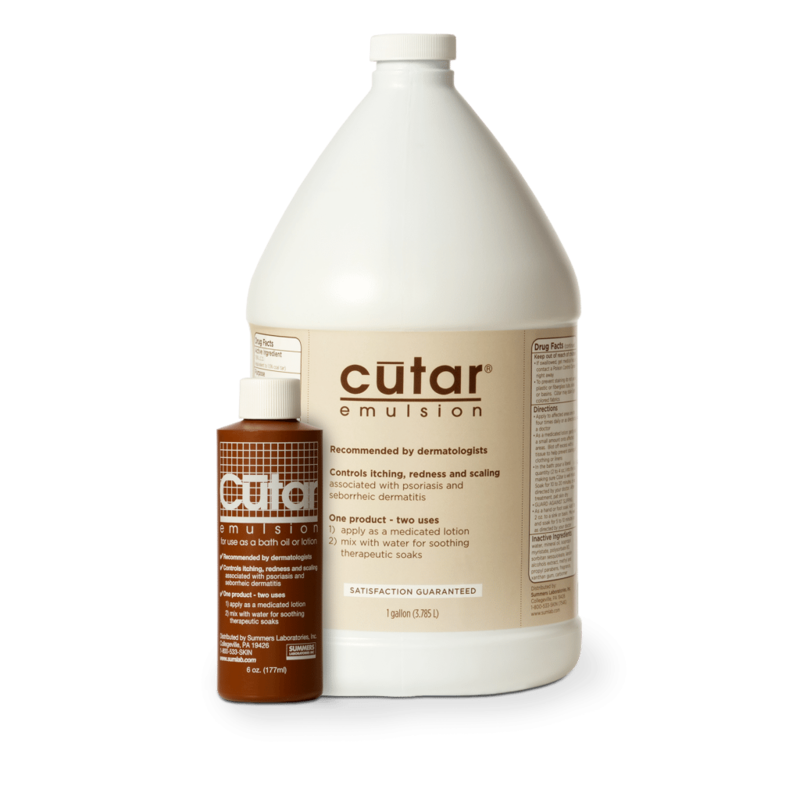 After applying Cutar as a lotion, wait approximately 60 seconds for it to be absorbed. Then cover Cutar with Cutemol Emollient Cream. 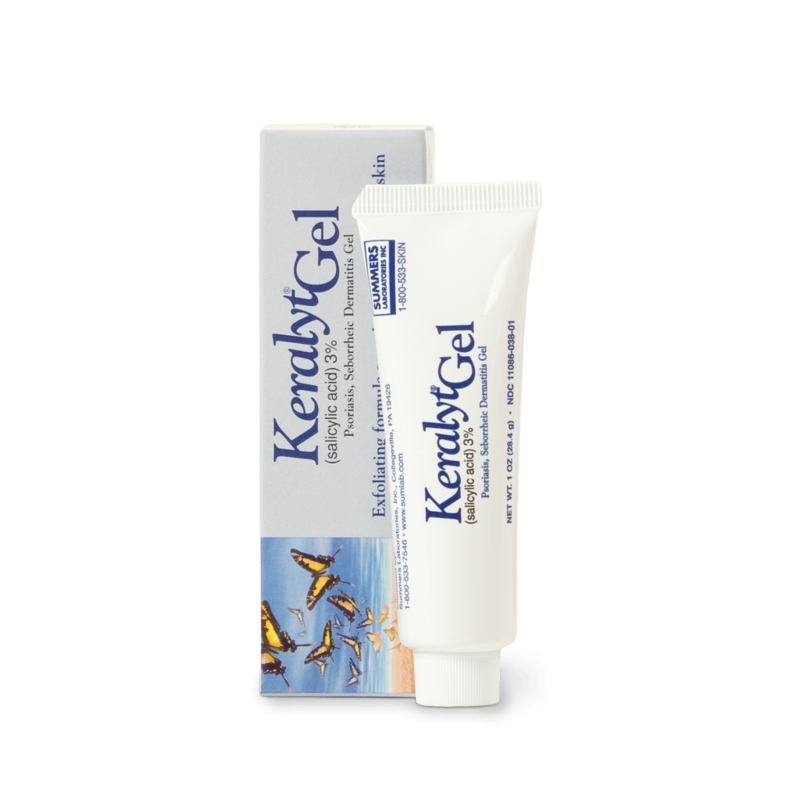 This combination delivers both tar and very effective moisturizing action many patients have found to be an extremely effective, but very safe, approach for controlling their psoriasis. Important: If your dermatologist has given you specific instructions for the use of Cutar, follow your dermatologist’s directions.